Sunderland have been handed a triple injury boost, ahead of this weekend's clash with Sam Allardyce's former club West Ham. Jan Kirchhoff, Seb Larsson and Younes Kaboul are all in contention for Saturday lunchtime's trip to Upton Park after the trio have all been involved in full training this week. January signing Kirchhoff prompted concerns when he was forced off during the first half of Sunderland's win over Manchester United 11 days ago with a hamstring problem, but the German's injury has not proved to be serious and he could keep his place in the starting XI against the Hammers. Larsson will also be in contention for a spot in midfield after the Swede has endured a frustrating three-month lay-off. The 30-year-old was originally estimated to be sidelined for around five weeks with knee ligament damage, but the injury proved to be far more problematic. However, Larsson returned to training two days before the United win and has suffered no subsequent adverse effects. Similarly, Kaboul has not featured in 2015 after his return from a hamstring injury earlier this month was disrupted by a fresh ankle problem. But the defender has now shaken off his ankle injury and could be included in the squad on Saturday. 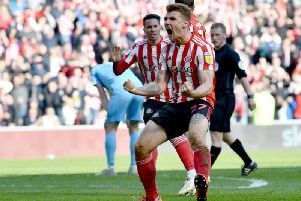 The only players remaining on the treatment table are Duncan Watmore and Jeremain Lens, although the latter is not expected to be out for long after a hernia operation.